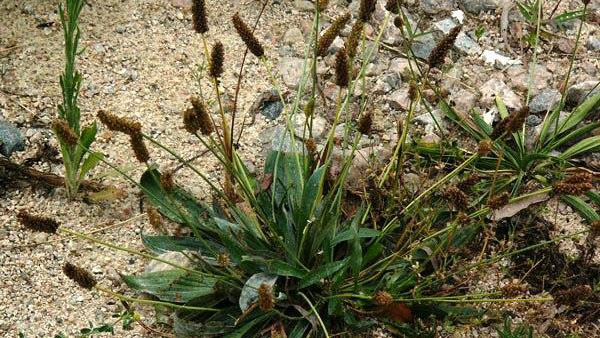 Buckhorn plantain is a very common fibrous-rooted weed found in poorly managed turfgrasses. The leaves are basal, long, narrow, and pointed with several prominent parallel veins. Flowers are arranged in a dense terminal spike on a long, hairy, leafless stem. As it blooms, the stamens are exerted from the spike. 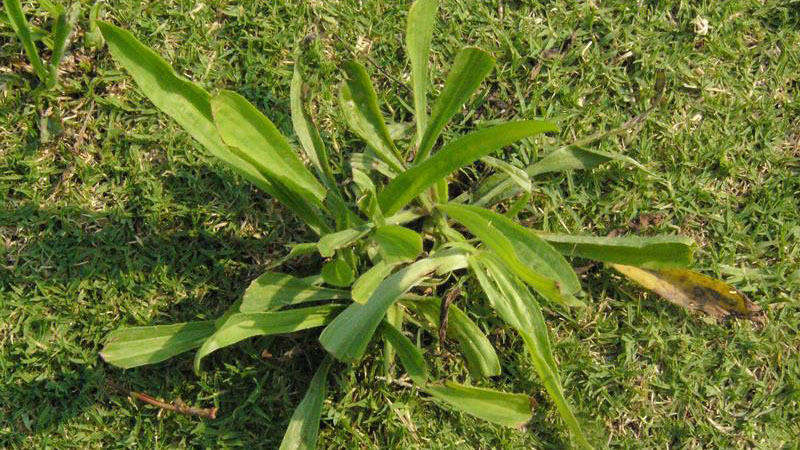 Buckhorn plantain is a very common perennial weed found in poorly managed turfgrasses. 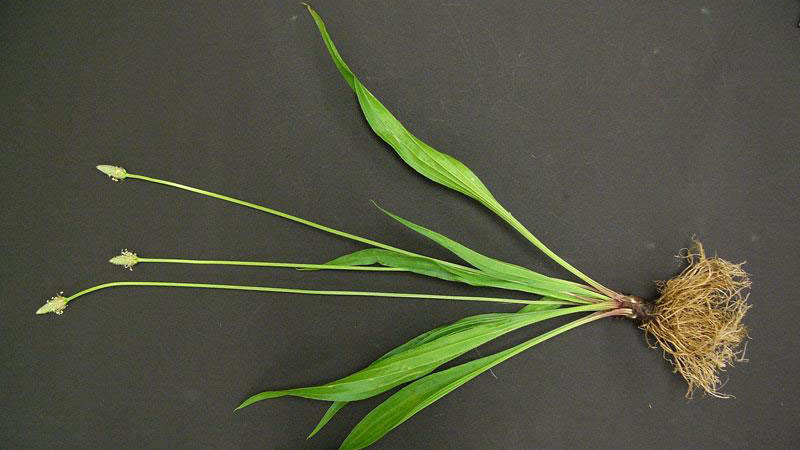 Perennial broadleaf turf weeds are capable of living more than two years. They thrive in weak, thin turf; golf fairways and roughs; home lawns; playfields; and industrial grounds. Proper turf maintenance is the key to control of this weed. Figure 1. 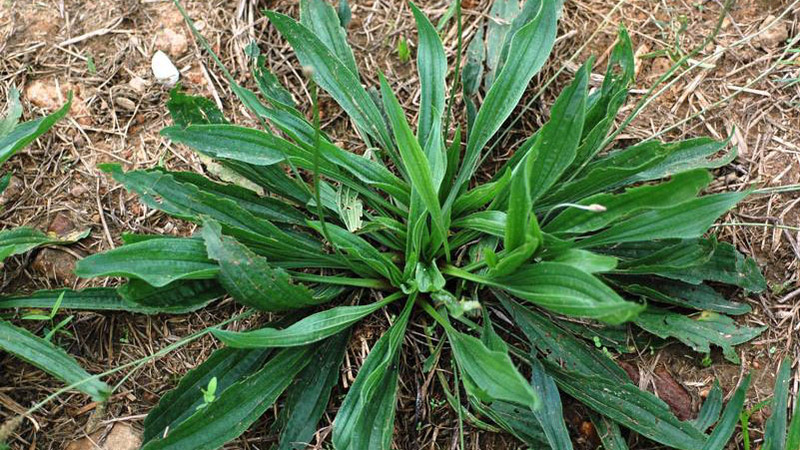 Buckhorn plantain growth habit. Figure 2. 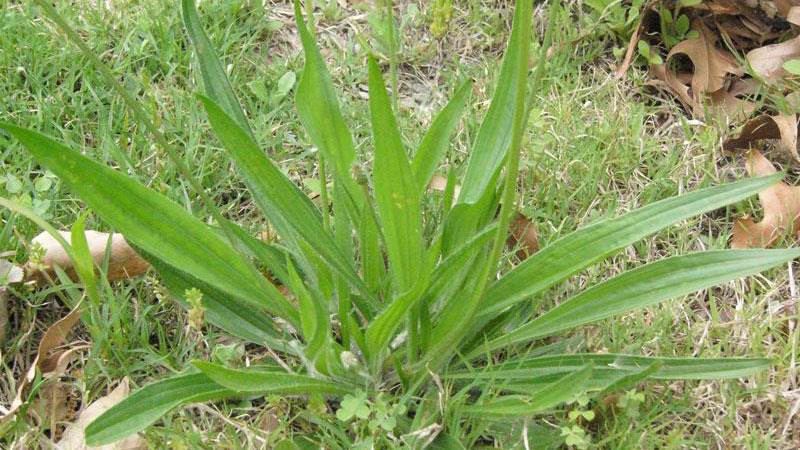 Buckhorn plantain growth habit. Figure 3. Buckhorn plantain growth habit. Figure 4. Buckhorn plantain growth habit. Figure 5. Buckhorn plantain growth habit. Figure 6. 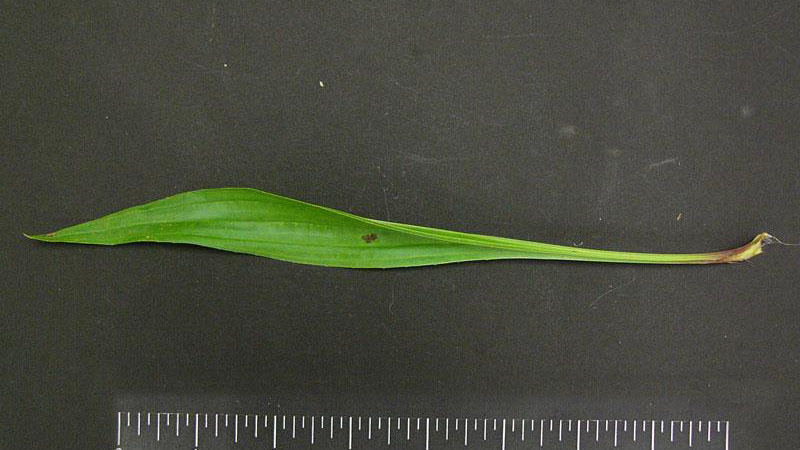 Buckhorn plantain leaf width. Figure 7. 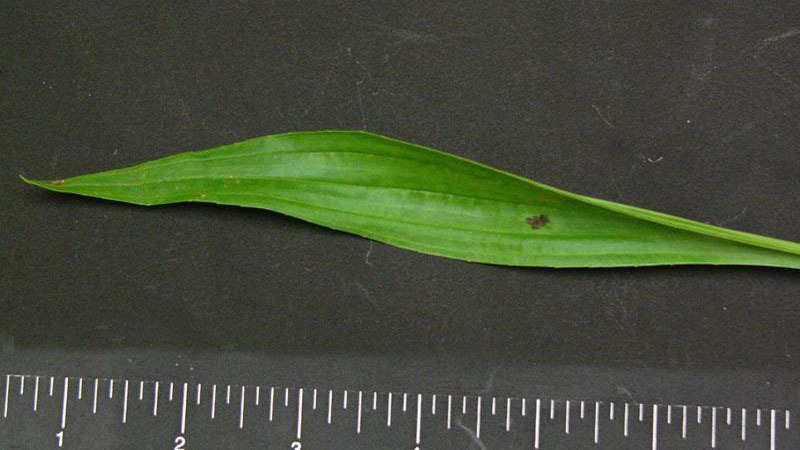 Buckhorn plantain leaf width. Figure 8. 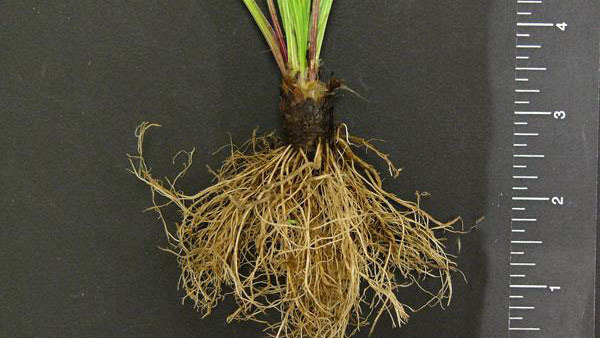 Buckhorn plantain root type.